Reta Jewel Lane, age 90, passed away Saturday, December 1, 2018 in Bullhead City, AZ. She was born in Muskegon, MI on April 17, 1928 to Alfred & Lillian (Cummins) Kibble and married Eugene Lane on July 23, 1966. Reta was a member of St. Thomas Catholic Church. She enjoyed working in the yard, bowling, playing cards with her friends, was very proud of her grandchildren and enjoyed spending time with them. Although her contagious laugh, click of her tongue, wink of her eye, crazy funny stories, and utterly truthful opinions (rather you wanted to hear them or not) will be missed, she is now at peace. Reta is survived by her daughter, Candy (Steve) Walker of TX; sons, Evans (Marie) LaFond II of AZ and John LaFond of Muskegon; 9 grandchildren, several great-grandchildren, many nieces, nephews and friends. She was preceded in death by her husbands, Evans (Bud) LaFond and Eugene Lane; brothers, William (Billy) Stevens, Ralph Stevens, Ray Stevens and sister, Lillian Hamilton. Reta will be laid to rest next to her husband, Eugene Lane, at Sunrise Memorial Gardens. 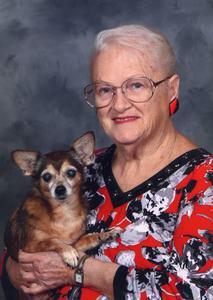 In lieu of flowers contributions may be made to Harbor Hospice Foundation on Reta's behalf. I've left behind some misery. Were no longer a possibility. Were longing for the heavenly skies. You let me enter eternity. Just remember how I used to be!